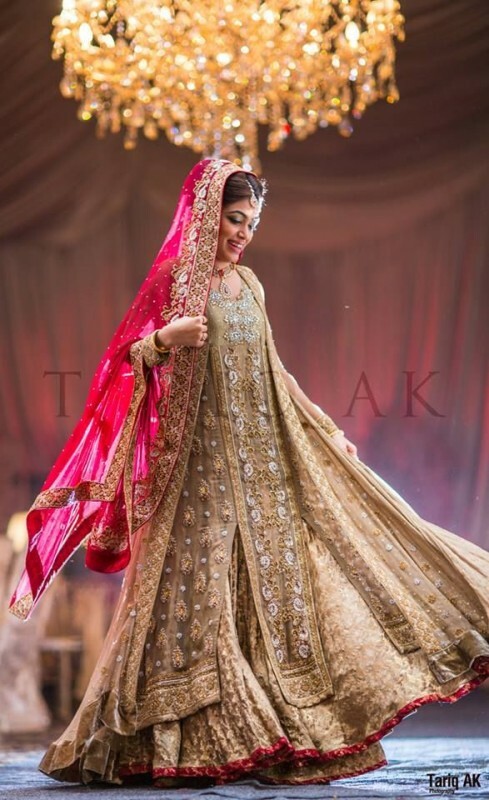 In this article, you can check out the latest Pakistani bridal dresses 2019 for girls. 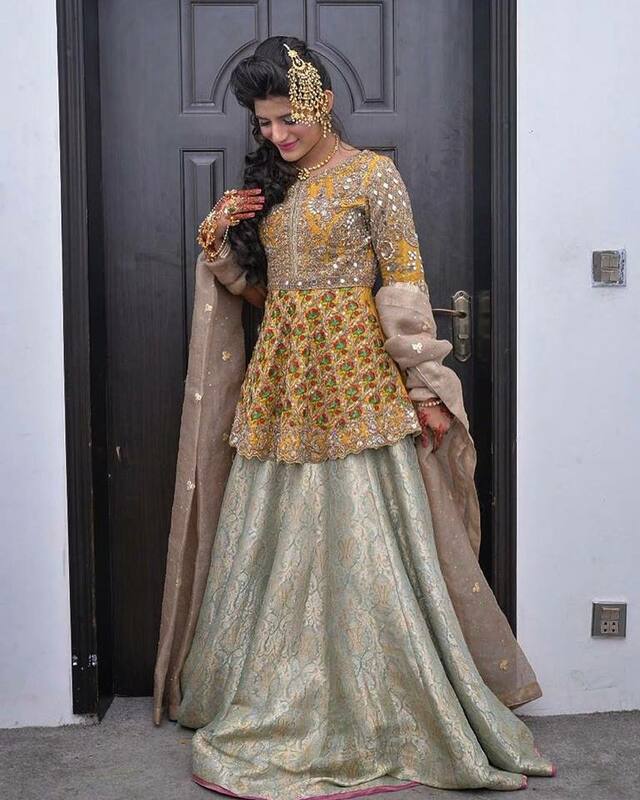 Here in this post, I rounded up with Pakistani wedding dresses for girls that can go well for mehndi, Barat and walima day functions. 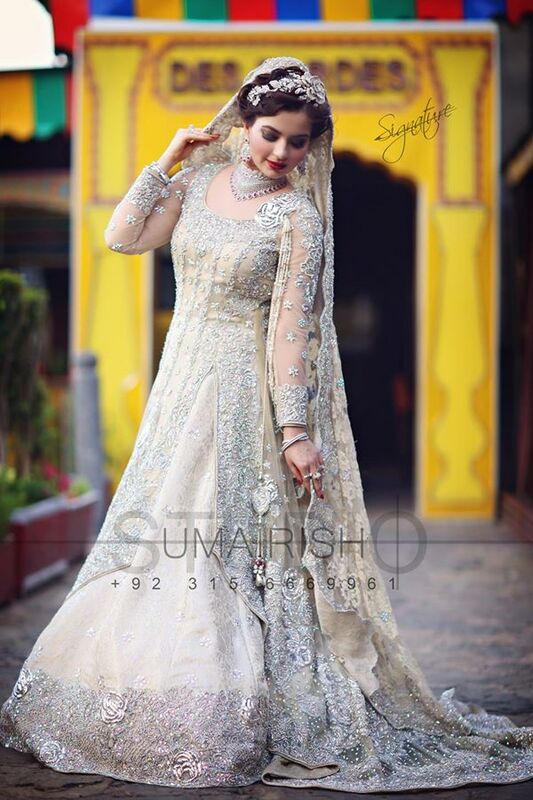 As we all know wedding is the most important day of a girls life and it is intrinsic that every girl wants to look gorgeous when it comes to her wedding day and obviously bridal dress is the most important ingredient for stunning bridal along with bridal makeup, bridal hairstyle, wedding shoes, bridal mehndi designs and nails etc. 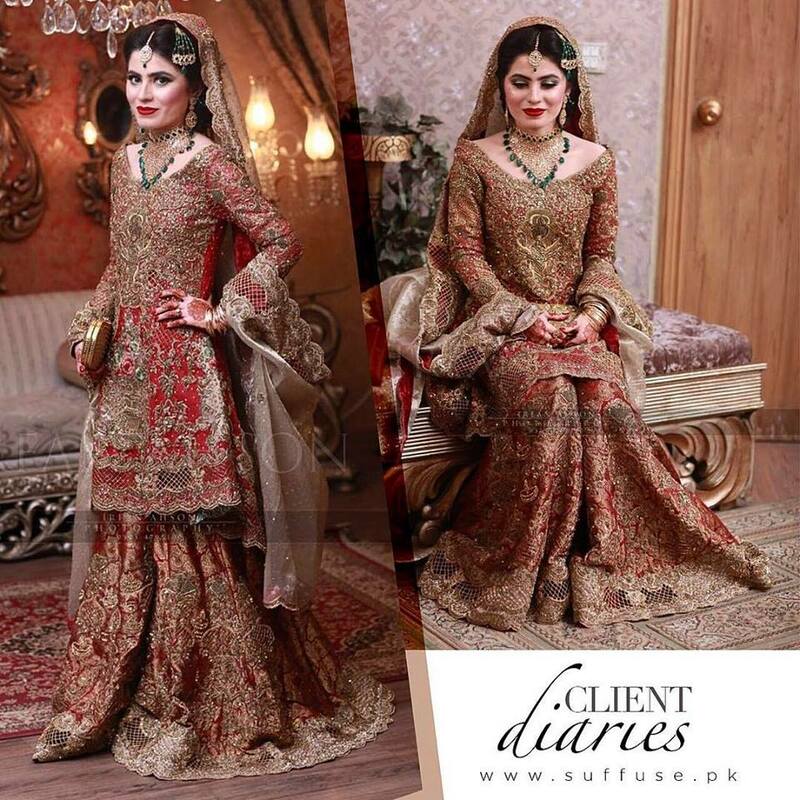 Hence in this post, you can have a look at new bridal dresses 2019 with pictures to get inspiration about wedding day dresses from mayun to walima. 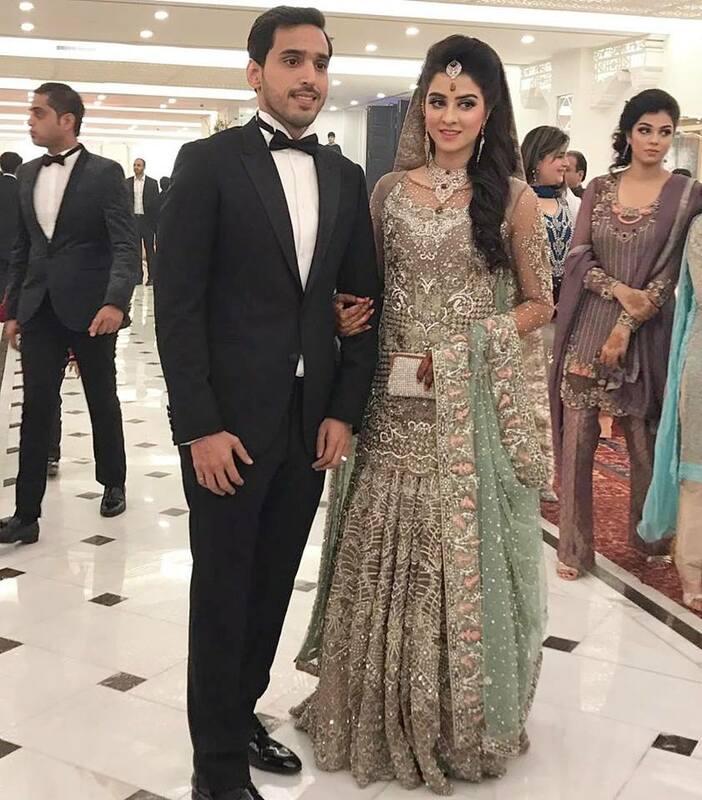 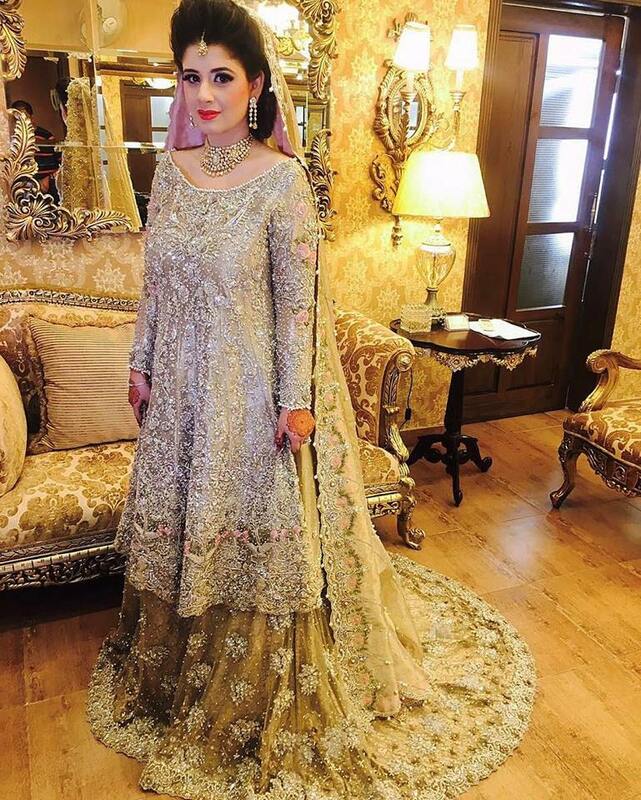 Here you can explore various Pakistani fashion wedding dresses for brides and others who want to attend the wedding ceremony. 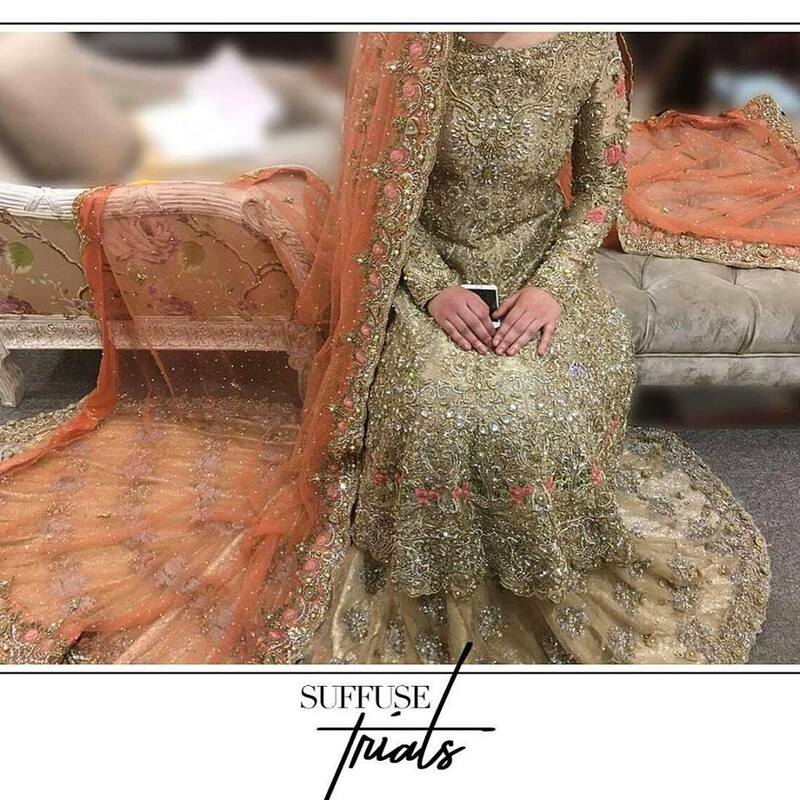 Bridal dresses are as much important as the wedding day itself, people in Pakistan invest lots of money, time and effort when it comes to selecting modern wedding dresses for mehndi, barat, and walima. 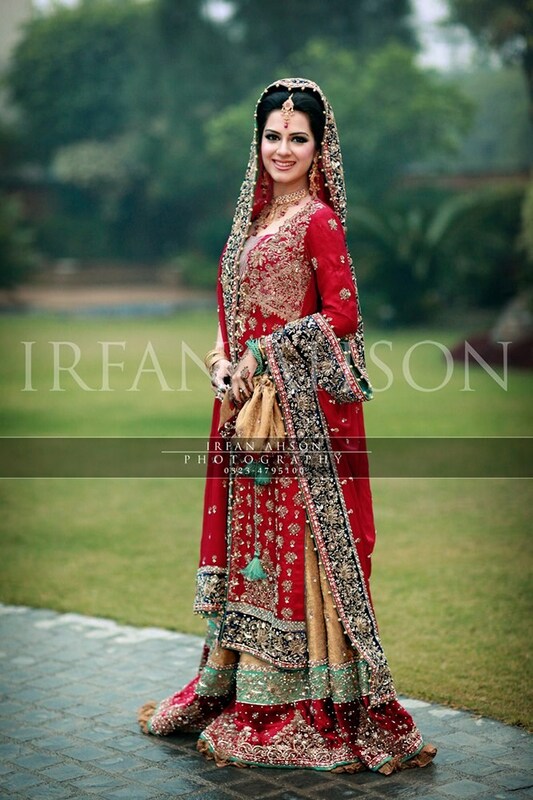 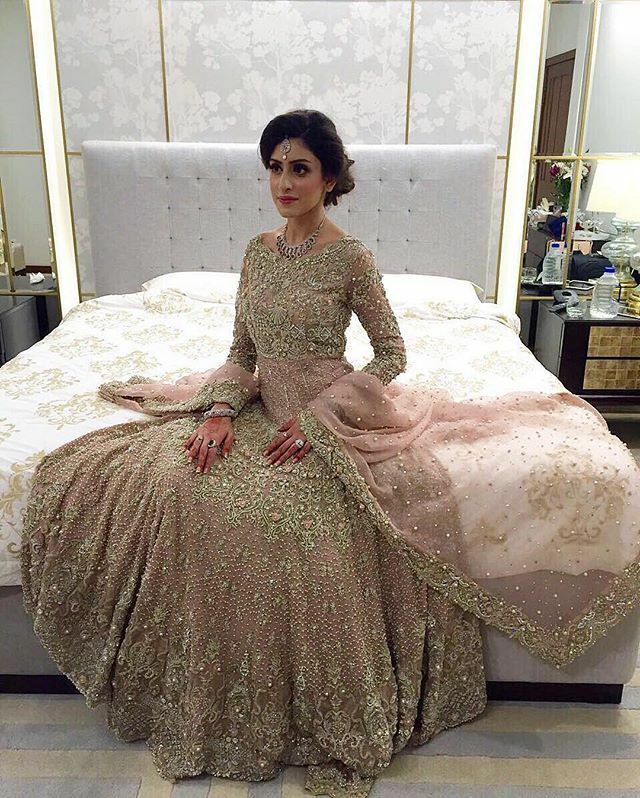 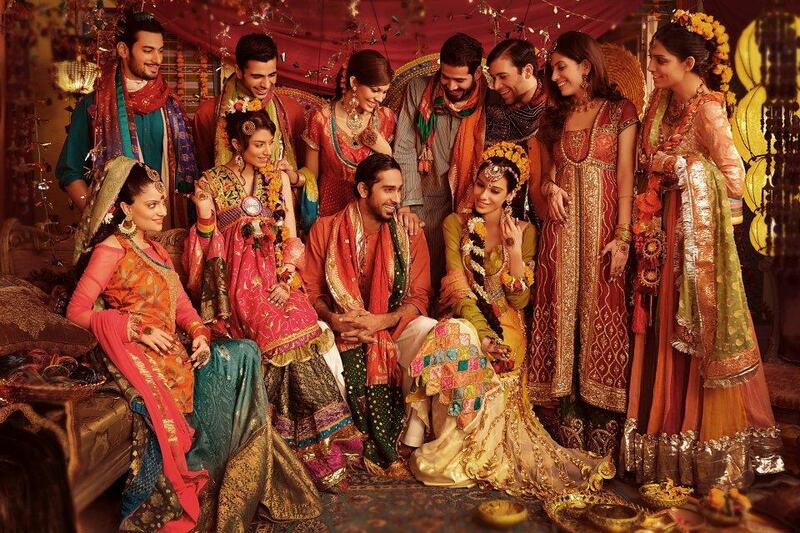 Don’t forget to check these latest bridal Barat dresses, walima dress designs and bridal mehndi dresses for this year. 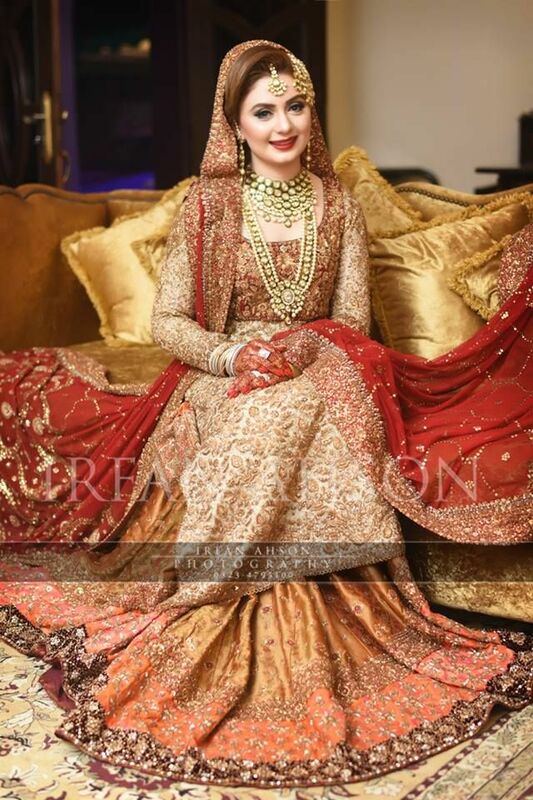 In Pakistan, a number of fashion designers are producing bridal collections and also providing customize wedding dresses but all this require a great budget that majority of Pakistanis cannot afford. 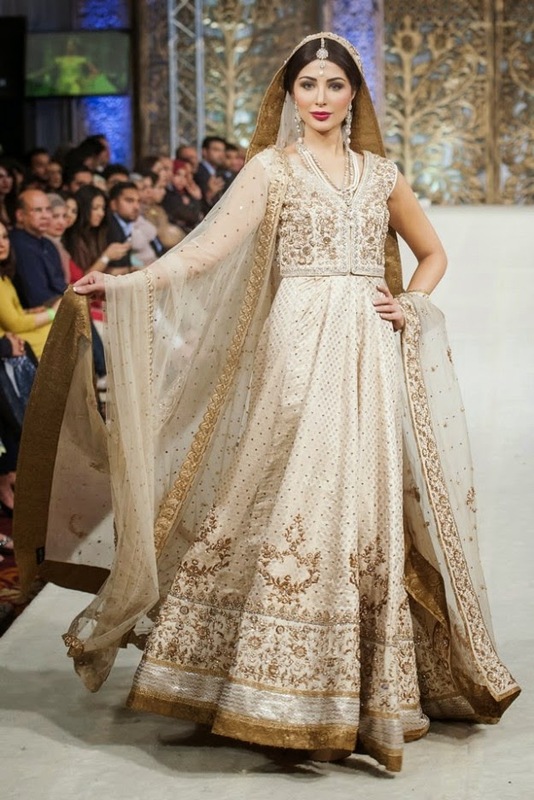 From this article, you can get new ideas about bridal dresses for all functions. 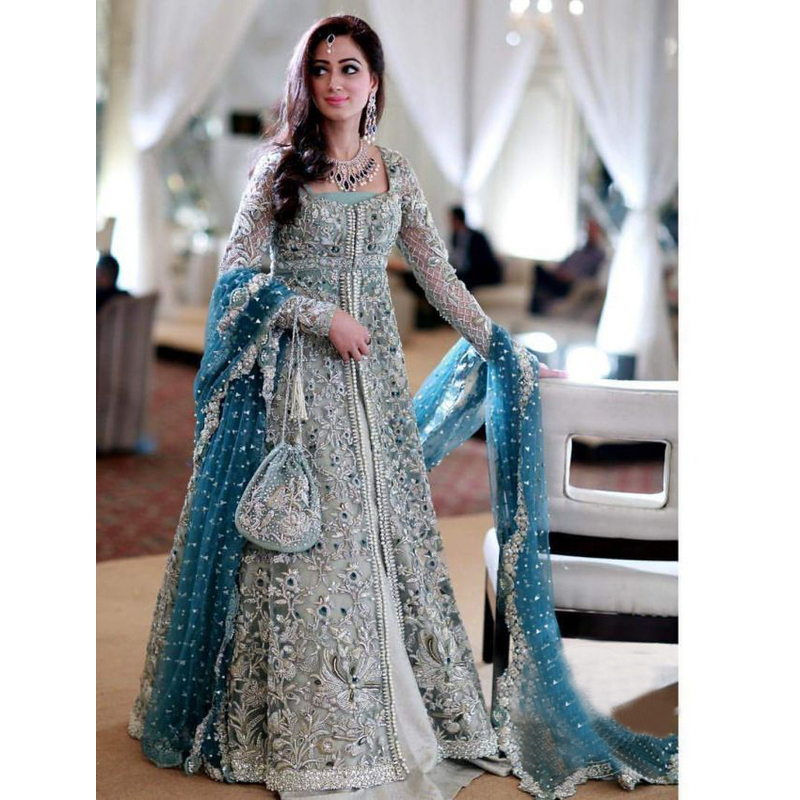 When it comes to selecting wedding dresses various style options are available for brides and other ladies who are going to attend the wedding ceremony, for example, bridal lehenga designs for Barat day or long wedding gowns or frocks for walima, lehenga choli or gharara for mehndi or mayon, anarkali frocks and andrakha style bridal dresses etc. 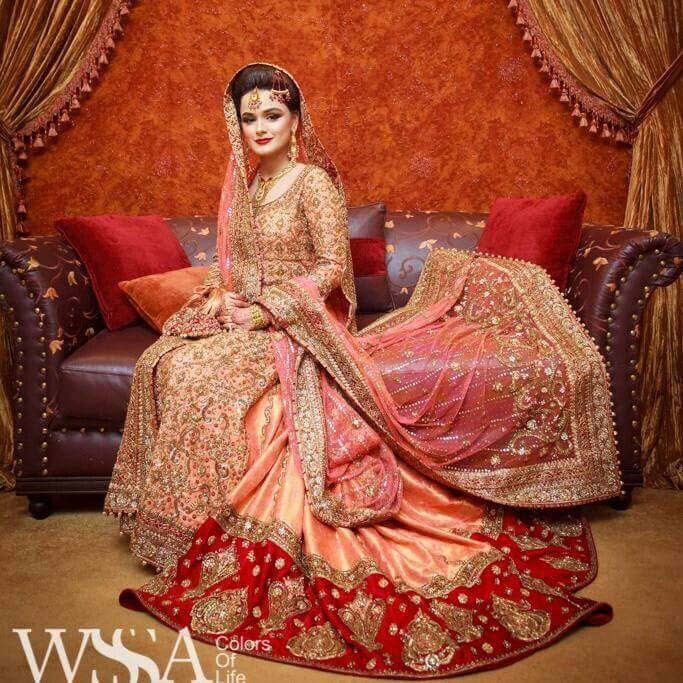 Wide range of color options are available for wedding dresses like red, golden, silver, lime, pastel green, pink, peach, and mint blue and rust etc choice is yours because, in my opinion, it is you can choose the best color and style because it is only you who knows which color suits you most and which style would be perfect for your body shape. 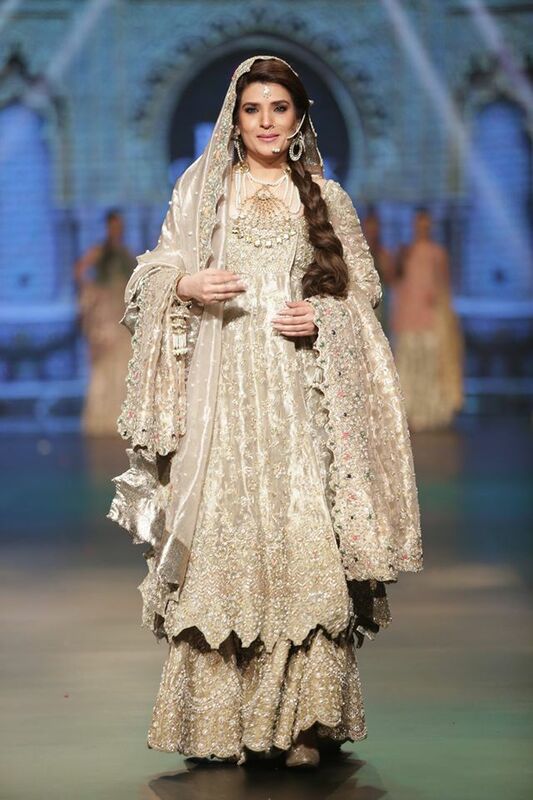 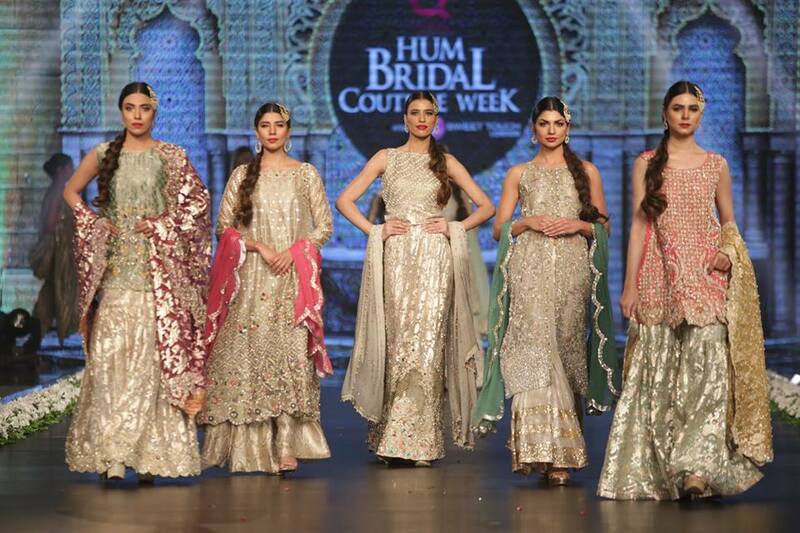 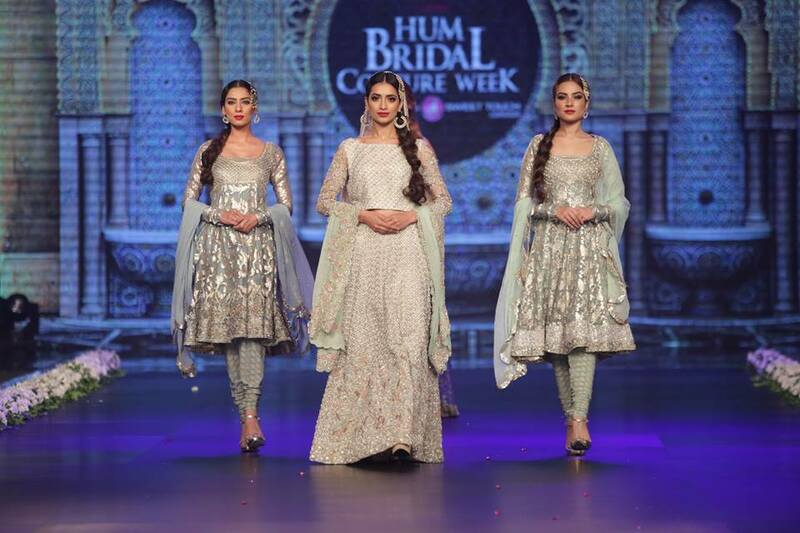 Many designers such as HSY, Nomi Ansari, Elan, Zainab Chottani, Erum Khan, Maria B, Tena Durani, Suffuse, HEM, Zara Shajahan and others have showcased their bridal collections at bridal couture and different fashion weeks held in Pakistan. 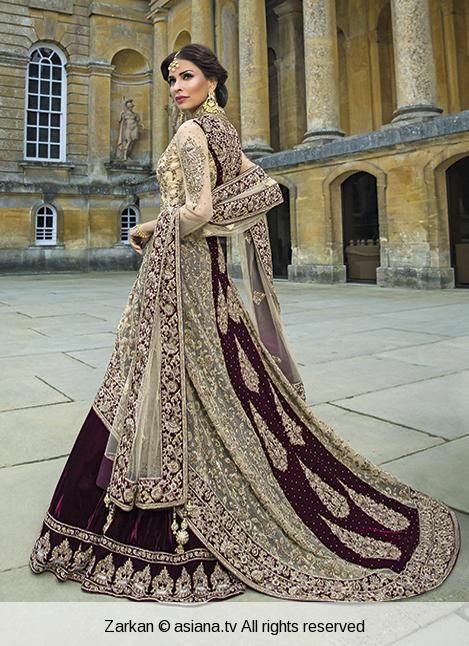 These bridal collections consist of mixed trends of bridal dresses from lehenga to simply embroidered kameez, it means every style is in the fashion which suits you. 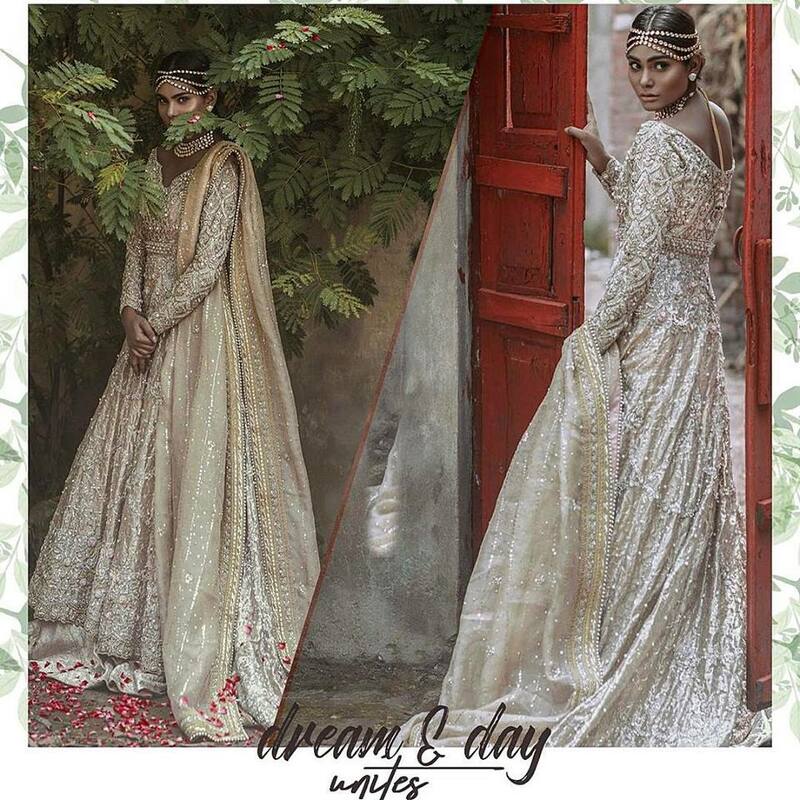 Below I am sharing the latest bridal dresses 2019 so that you can get inspiration or get some ideas about which dresses to go for.